In the world of martial arts, there are always going to be some sort of debate which can become rather heated. Unfortunately, there are debates that causes people to stop becoming friends because they cannot simply agree to disagree on things. This happens a lot in the martial arts. Martial artists often argue about that stuff. Also, people who are not that educated on the martial arts end up getting into fights over such debates. One such martial arts argument is the difference between Karate and Tae Kwon Do. Many people often ask the differences between the two. At the same time, people give the same answer: Tae Kwon Do is Korean and/or focuses more on kicks and Karate is Japanese and/or focuses more on hand strikes. For the most part, those answers tend to be correct; but, that's not the whole answer. Unfortunately, this is the answer most people give. This includes many people that have trained in either or both styles. However, there's more the differences between both styles than the usual explanations. 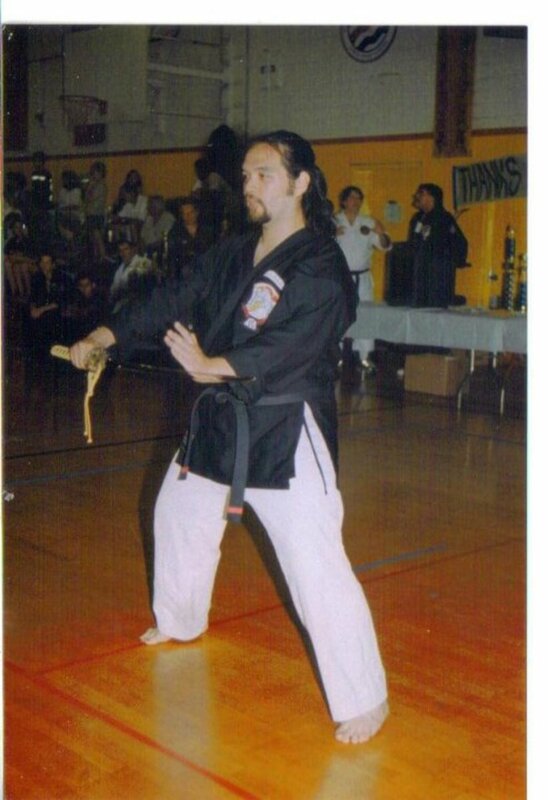 When I revived my training in the martial arts back in the start of 2010, I started training in one style after another as the classes were available. I preferred training than being at home. As part of going back to martial arts training, I went back into Tae Kwon Do training; but, I started training under a different instructor and a different school. This training was similar as when originally took Tae Kwon Do back in elementary school; but, the training was different at the same time. It took me completely by surprise. Plus, I reflected back upon my training in Muay Thai and Wado-Ryu Karate back in the past respectively when I was 17 and 21. The main reason I felt the need to give the most in-depth explanation as best as I can was due to a similar article I wrote on Helium.com. One of the editors said that my article was inaccurate. When I talked about Shotokan Karate, the editor said that when the International Shotokan Karate Association was founded, I was asked how would the style be founded decades earlier. The editor thought that Shotokan Karate and the International Shotokan Karate Association were one in the same. But, that's completely wrong. Shotokan Karate is the style and the International Shotokan Karate Association is the one of the organizations that helps spread Shotokan Karate. In terms of Tae Kwon Do, the editor said that WTF and ITF Tae Kwon Do were separate styles. However, that's completely false. The World Taekwondo Federation (WTF) and the International Taekwondo Federation (ITF) are the governing bodies of Tae Kwon Do. When you bring different organizations into the mix, it no longer becomes a debate between the differences of the styles, it becomes a heated political debate on the philosophies of the organizations. There are two reasons the debate between Karate and Tae Kwon Do is very invalid to the highest extent. It's very important to understand why they make the debate invalid. Many dubious “masters” that don't have the proper training let alone the qualifications opening up their own martial arts schools and calling them “Karate” schools. The first reason is the definition of Karate. 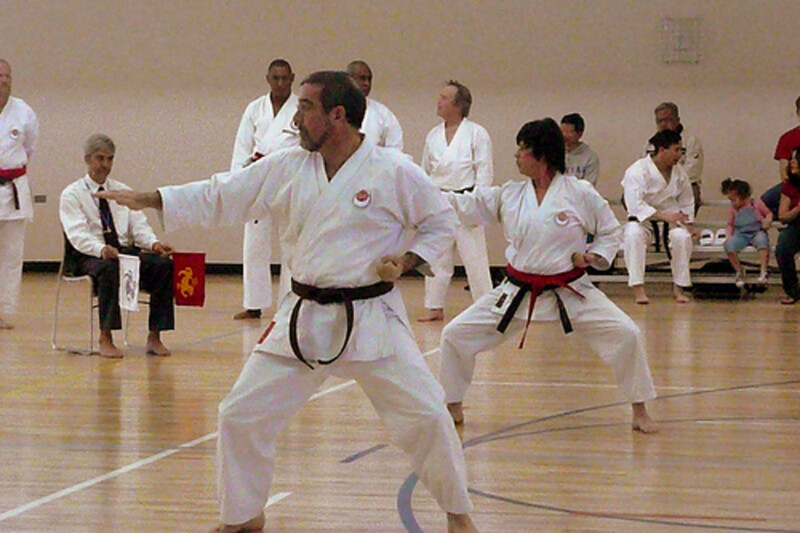 Major styles of Karate such as Shotokan and Goju-Ryu originated from the Okinawan arts. 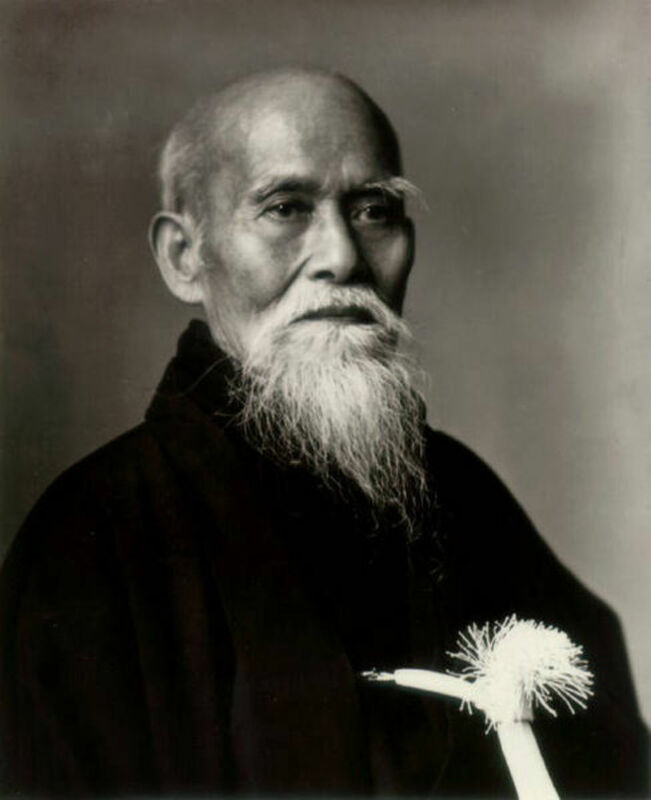 The term Karate originated from Gichin Funakoshi who is the founder of Shotokan Karate. He changed the Japanese symbols to say “empty hand” instead of “China hand.” Thus, the term Karate was born. Since Karate is known as empty hand, dubious instructors can exploit that and open up their own shady school teaching “Karate.” In short, Karate is a very generic term. The second reason is that Karate is an umbrella term. There isn't just “one style of Karate.” You have many styles that classify themselves as Karate such as: Shotokan Karate, Wado-Ryu Karate, Goju-Ryu Karate, Shito-Ryu Karate, Shorin-Ryu Karate, Uechi-Ryu Karate, Matsubayashi-Ryu Karate, Isshin-Ryu Karate, Kenpo Karate, Koei-Kan Karate, Kyokushin Kai Karate, Seido Karate, Ashihara Karate, Enshin Karate, Shorinji Kempo, Toon-Ryu Karate, etc. You have styles of Karate that descend from other styles of Karate. 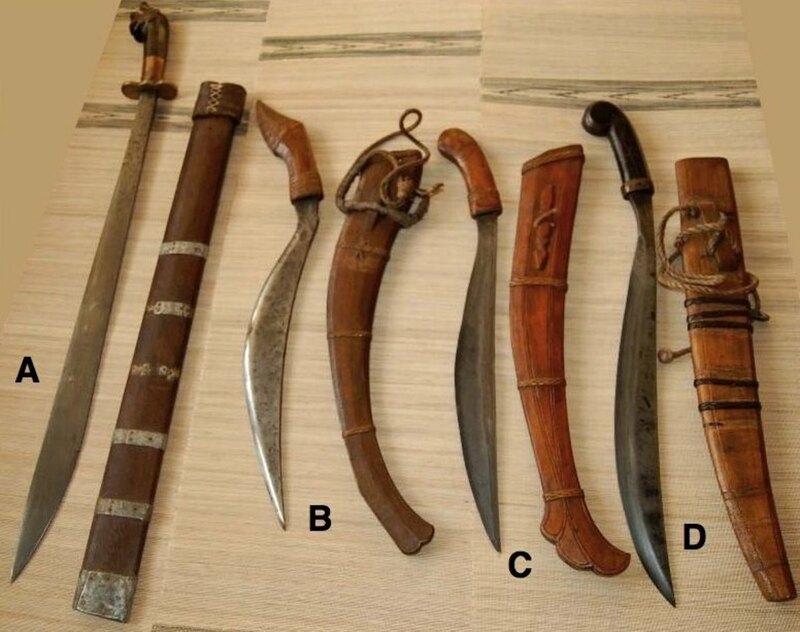 Then, you have styles that originated from different martial arts styles. For example, Goju-Ryu Karate draws upon influences from the various Chinese martial arts. In short, there are so many different styles of Karate; but, these new styles are relatively small. Give or take a couple of decades, the styles could get big enough to warrant a small organization. Then, give that organization a couple of decades to get bigger. Many styles of Karate focus a lot on handwork as much as hand strikes. There are styles of Karate that have the same moves; but, they apply them differently. You have Shotokan which is primarily hard while you have Wado-Ryu which is primarily soft. There are techniques in one style of Karate which you won't find in other styles. I stopped at this nearby Karate school one late afternoon. The school taught Matsubayashi-Ryu Karate. I was looking for a bit of wisdom. The master instructor told me that the style they teach do teach a number of throws; but, not as comprehensive as Judo. In Wado-Ryu Karate, as you progress further in rank, you learn the techniques of Jiu-Jitsu. There are many martial artists that trained in multiple styles let alone Karate styles. Learning one style of Karate and then learning a different style of Karate is going to be a different experience. While the moves look the same, the technique behind the move is going to be different. This is perhaps one of the biggest reasons the debate on the differences between Karate and Tae Kwon Do is very invalid. The two most common arguments differentiating Tae Kwon Do from Karate is that: first, the former is Korean; second, the former is more about kicking than hand strikes. Tae Kwon Do, known as TKD, has only been around for a couple of decades versus some of the styles of Karate which have been around for more decades. Let's start out with the common argument. Yes, Tae Kwon Do comes from Korea while most styles of Karate come from Japan & Okinawa. Yes, Tae Kwon Do has more kicking than hand techniques. According to the Han Moo Kwan organization, which supports the WTF, there is historical debate. 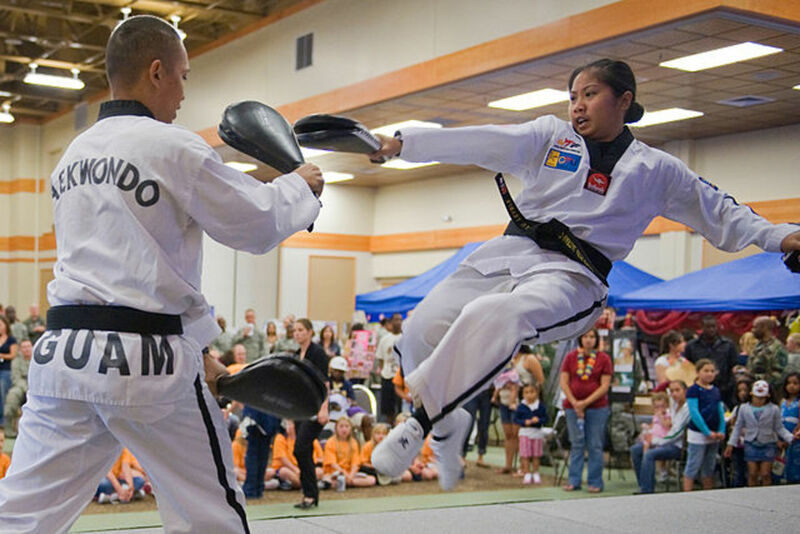 The Tae Kwon Do taught in most places around the world is “modern Tae Kwon Do.” However, that shouldn't be confused with “sport Tae Kwon Do.” Sadly, there are plenty of TKD schools that tend to focus way too much on the tournaments. In the long run, it gives those students a false sense of security. For those that decide to test their skills against another martial artist or a professional fighter, they end up getting defeated almost all the time. Thus, those people get disillusioned with their TKD training. Because of that, TKD has gotten a bad rap of being “ineffective.” However, that's far from the truth. This is because tournament or sport TKD is different from actual TKD. You have other martial artist that don't abide by tournament rules because they never competed. In that respect, they have the upper hand. In terms of fighters, they're used to getting hit. Plus, it rounds down to the difference between the different martial arts tournament formats. Back to what Han Moo Kwan says, they talk about how Tae Kwon Do is a product of Korean culture. But, that's not the whole truth. The Tae Kwon Do that is taught today is not the unique and exclusive product of Korean culture. People tend to get Tae Kwon Do and Taekkyon mixed up. Taekkyon is the style that's unique to Korean history. 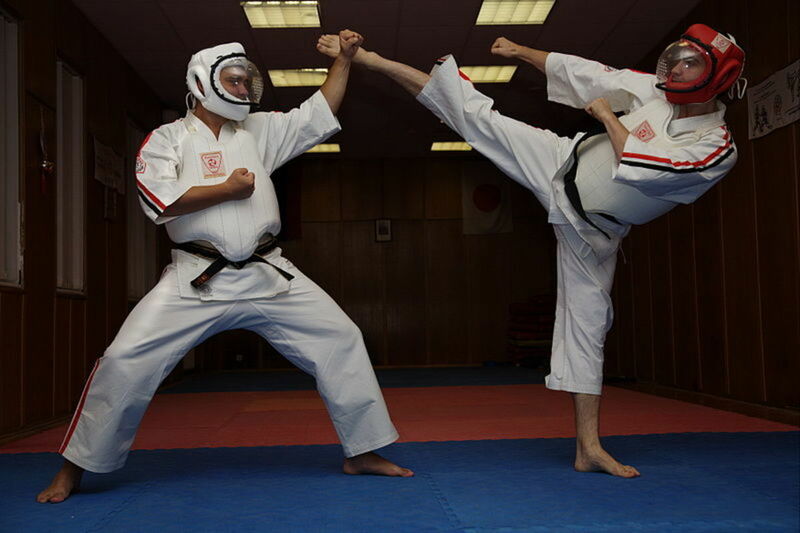 Modern Tae Kwon Do was mainly influenced from the Japanese styles of Karate. The biggest Karate influence came from Shotokan. My Tai Chi Chuan teacher, who used to teach me Wado-Ryu Karate, learned an old Tae Kwon Do kata during a weekend Tai Chi Chuan retreat. One of the students, also one of my old Wado-Ryu masters, recognized it as one of the forms from Shotokan Karate. During the start of the 20th century, Korea (before the split between North and South Korea) was colonized by Japan. As part forced assimilation into Japanese culture, Koreans were prohibited from training in their own native styles. 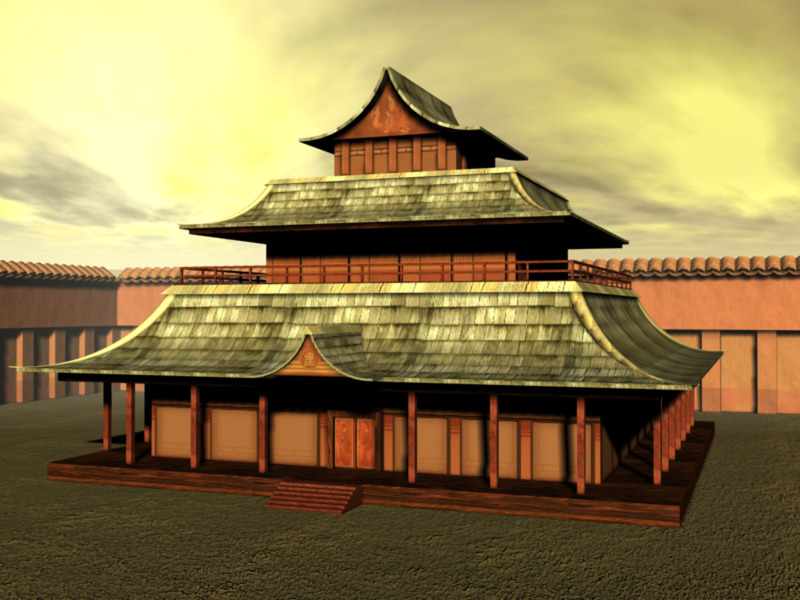 Many native Korean styles became extinct as a result. At the same time, there were a handful of Koreans that were able to study the Japanese arts. Afterward, many schools or “kwans” were formed. It was mostly the influences of the Japanese martial arts combined with the foot techniques from Taekkyon. Tae Kwon Do used the Japanese terms and techniques in the past; but, that all changed midway through the 20th century. In TKD kata, there are hand techniques present. However, those aren't applicable to tournaments. Much of the emphasis is on kicks in the tournament format. You do have downward back fist strikes, horizontal hammer fist strikes, groin punches, elbow strikes, and neck grabs. But, TKD isn't simply about punching and kicking. You have true TKD and watered down TKD. True TKD contains crucial techniques from Hapkido and Judo when having to fight on the ground. But, many American instructors tend to leave out those crucial elements of TKD and focus only on the striking for tournament's sakes. Then, you have even more watered down TKD in which schools focus solely on the tournaments. Unfortunately, very good TKD schools are hard to find in the United States. I was blessed to have trained under very good TKD instructors. When you look at modern TKD's birth through the historical context, it simply kills the argument on the differences between that and Karate. For this reason, TKD can be classified as a style of Karate. It can be synonymous with “Korean Karate.” Technically, you are learning Korean Karate. That's looking at it through a historical context when you factor in the influences from the Japanese Karate styes. The other reason TKD can be classified as “Karate” or “Korean Karate” is due to the “empty hand” definition. Empty hands means that you're not holding any weapons. In TKD, you're not holding any weapons when you're punching and kicking. Due to those things, many illegitimate instructors open their own schools and say they teach “Karate.” Back in high school, I almost joined this Karate school because I saw a stack of pamphlets on the counter at the guidance office reception table. Ultimately, I didn't join the school. It was a good thing I didn't because, I learned the school closed down a couple of years ago. Then, I learned that the master instructor was illegitimate. If instructors are teaching TKD or some form of Karate, make sure they have their certifications. Also, TKD has become a brand. You cannot just up and open a TKD school or teach without certifications from the WTF and WTF-affiliated organizations. The WTF is known to crack down hard on illegitimate instructors. For those that decide to enroll in classes at a Karate school, it's very important to ask what kind of style. If the instructor simply says "Karate," walk away and do not come back. If the instructors (especially the master instructor) are unable to give you a straight answer let alone an explanation, there's nothing legit about the school or program. There's something shady going on with the school. 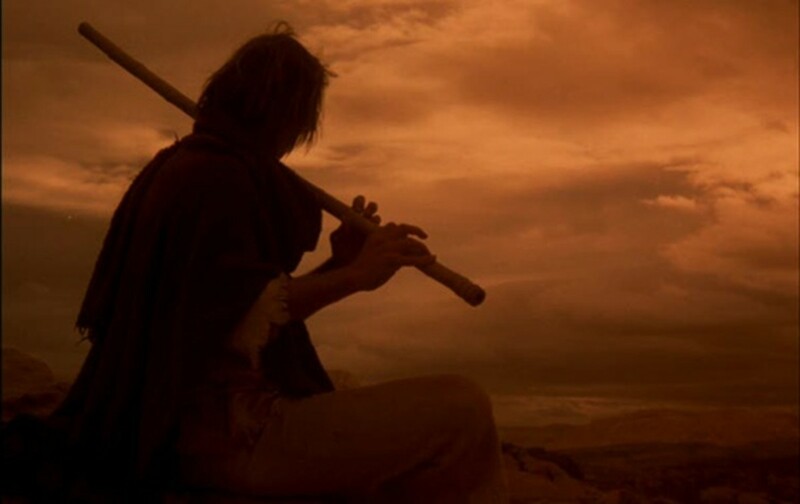 It takes a long time to become a master instructor; in that regard, instructors should be able let alone easily give you a necessary explanation of what style the school teaches. If they get defensive to the point of being downright hostile, the school's mostly phony. Another way to tell what style the school teaches would be the certifications which are usually out in the open or in the instructor's office (if there is an office). Certifications are always in plain view; it's no different than going to a dentist or lawyer's office where you see certifications and licenses on the wall. While there is one style of Tae Kwon Do, due to it being a brand, each school may teach the style differently. I read about one TKD school about thirty to forty minutes away implementing the elbows, knees, and leg kicks from Kickboxing/Muay Thai. I observed a TKD instructor from another school teach palm strikes/blocks. My current TKD teacher implements bits and pieces of what he learned back in Shotokan Karate. You will have instructors that teach TKD in its entirety. Unfortunately, you'll come across a lot of TKD schools that take out a lot of things and focus mainly on the kicking attacks. Same applies to Karate. You may find that one Shotokan instructor will teach the style differently from another instructor. In short, there's so many different factors and variables involved. Debating the difference between Karate and Tae Kwon Do ends up stepping into broad and endless territory. Karate it isn't just "one style"
Always interested to learn more about martial arts. Well done. I agree that TKD is not the same as it used to be. In Korea, I found this also to be true. No one wants to train hard anymore. I took judo in Seoul and loved it. I also looked at some hapkido schools and they were watered down as well. I take hapkido in Omaha, NE from a traditional school that uses ground fighting and gun and knife defense and our school turns out people who know self defense and how to fight if need be. This lacking I think from many styles now. The old days of training are slowly going away. Except for MMA, but that is focused on sports rather than self defense. Not surprised. Sadly, only a few TKD schools outside of South Korea teach the true version. In the US, it's pretty difficult to find a real effective TKD school. All the other ones water down the style and/or focus mainly on the tournaments. Nice Hub, Taekwondo is definitely the most spectacular looking of the two however the least practical. Taekwondo fighter used to sometimes come to our old Karate Dojo and get stoped with punches every time.